Interesting. Note that these poor, illiterate Mohammedans don’t move to the rich Arab countries in the Gulf, or to Brunei, which shares their religious ideology. Can you see a pattern yet? South Korea has long faced the possibility of dealing with a refugee crisis from North Korea if the government collapses, but a wave of refugees coming from an entirely different direction have taken Seoul by surprise and caused a political crisis. The administration of President Moon Jae-in is under enormous pressure to deal with asylum seekers fleeing the horrific civil war in Yemen. Yemenis have been flooding into the resort island of Jeju after their 90-day permits to stay in Malaysia expire. Malaysia is not a signatory to the United Nations Refugee Convention, so the Yemenis move on to South Korea when their temporary permits expire. Under South Korean law, foreigners can seek asylum at air and sea ports, request legal counsel, remain in South Korea until their application for asylum has been adjudicated, and file multiple appeals if their application is rejected. South Korea has actually granted very few requests for asylum to date – only about 800 approvals out of over 32,000 applications filed since 1994. For the convenience of the resort industry, Jeju allows foreigners to visit for up to 30 days without a visa. The number of Yemeni refugees seeking asylum from Jeju rose from ten in 2016 to at least 500 in just the first half of 2018. The total number of asylum-seekers on the island is now about ten times what it was in 2017. The South Korean government took its first major step to control the situation in April by refusing to allow asylum-seekers off the island and into mainland South Korea. The refugee pipeline involved arriving in Jeju and then reaching Seoul as quickly as possible, where a growing Yemeni community awaits. “When I submit my application for refugee status, after one week, two weeks, I expect to get permission to go to other place. But I was surprised we can’t go any place and can’t get any job, can’t get any support money. I feel very, very sad,” one Yemeni told Korea Exposein June, after flying into Jeju and checking into a hotel with plans to proceed to Seoul. Yemenis quoted in the article complained they were running out of money and South Korea has not provided food or shelter for them. “At least in prison, you get food and a roof over your head. Here it’s like a prison without anything,” one of them said. The next step for Seoul was taken in May when Yemen was added to the list of countries whose citizens cannot visit Jeju without a visa. Even if that measure proves effective at halting the flow of new arrivals, there are still almost six hundred Yemenis on the island with nowhere else to go. Under pressure from humanitarian organizations and the United Nations, the provincial government of Jeju announced on Tuesday that it will begin providing aid to the refugees, including financial assistance, training in the Korean language, and job placement, while also assuring the public that order will be maintained. “We will do our best to offer humanitarian assistance to Yemeni asylum seekers and protect the safety of our residents,” vice governor Ahn Dong-woo said at a joint press conference with police and immigration officials. “While the self-governing body of the tourism-centric southern island of South Korea held public sessions teaching them Korean and introducing jobs in the local fishing industry, local citizens unhappy about the refugees’ influx have begun online campaigns demanding authorities rein in the newcomers,” the Korea Times explained over the weekend. According to the Korea Times, a seminar was held on June 14 offering to teach basic Korean to Yemeni refugees interested in working for Jeju’s fishing industry. The program was looking for 170 workers, but 400 applicants turned up. Residents of Jeju Island were apprehensive about the provincial government’s program to help the refugees, questioning its legality under local ordinances requiring that foreigners cannot be given preference over legal residents for jobs. Also, South Korea’s refugee law stipulates that refugees must wait six months before they can apply for employment, a restriction that was waived for the Yemenis on Jeju. While the island authority was at the frontline of helping the refugees, Korean residents on the island voiced strong opposition. Their fiercest voices appeared on presidential office Cheong Wa Dae’s website, where petitions appeared calling for the island’s lax visa system to be changed and for the inflow of Yemeni refugees to be stopped. Both petitions gained significant support. The first petition titled “Let us defy Jeju Island accepting refugees” was posted on June 12. The petition, posted anonymously, claimed it was “obvious the Yemenis, who see women as not a human but a child-delivering object, will cause sexually explicit crimes. … Look at the Chinese.” The person asked why Koreans should have to put up with foreigners and demanded that legal action be taken immediately before it was too late. The petitions require the central government to make an official reply if they draw 200,000 supporters or more in one month. The June 12 petition attracted more than 180,000 in four days. But the petition was deleted from the site on Saturday without any notice from Cheong Wa Dae, causing an online outcry demanding an explanation. “I have serious doubts over whether granting asylum status and providing livelihood support for them would enhance the security of locals and help the local Jeju economy,” the author of the June 13 petition wrote. Korea Joongang Daily reported on Tuesday that the petition has reached 250,000 signatures, easily passing the 200,000 milestone for a response from the Blue House. The first petition was apparently removed due to intemperate language such as, “It is obvious the Yemenis, who see women as not a human but as a child-delivering object, will cause sexually explicit crimes … just look at the Chinese.” This last was a reference to a rash of crimes on Jeju in 2016 that was attributed to Chinese tourists. The Korea Times adds that civic groups, Christian churches, local businesses, and the Korean Red Cross have been doing what they can to assist the refugees, as in the case of a Jeju hotel that gave refugees a heavily discounted group rate and opened its kitchen so they could prepare halal food. 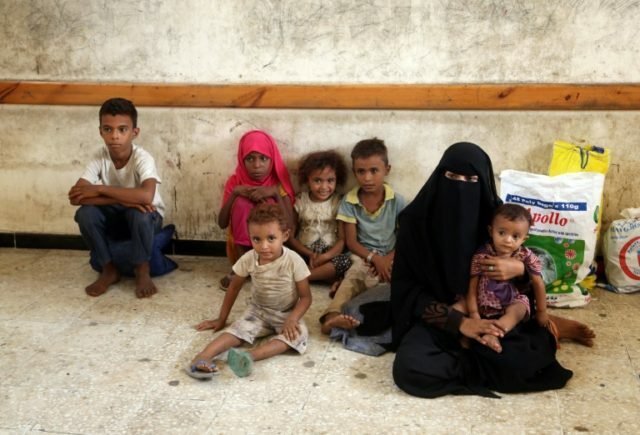 South Korea’s National Human Rights Commission has urged the government to do more for Yemeni refugees, citing the extreme hardships they face in Yemen, including disease and malnutrition. Challenges have also been raised to the policy of preventing refugees from leaving Jeju Island, with critics arguing that the island lacks the resources to care for refugees or process their asylum applications efficiently. The entire continent of Europe is being inundated with refugees at a rate unprecedented in world history. This is no longer just a “refugee crisis.” This is a hijrah. Previous PostHungary passes ‘STOP Soros’ laws, defying EUSSR and “rights groups”Next PostIs European civilisation nothing but colonialism, racism and war? The solution … No islam immigration – EVER !!! Ah Yes – the Arab/islam controlled UN !!! HAS TO BE CANCELLED !! !